The budget, which calls for a $1.1 billion reduction in the Justice Department’s overall budget, does not make clear what land will be targeted or what it will be needed for, but it would likely be used to build Trump’s border wall or secure access to it. Anthony Francois, a land rights attorney with the Pacific Legal Foundation, called a team of 20 attorneys a significant hire, even for the federal government. Much of the Arizona border is already in government hands. There are small stretches of private land on the state’s border with Mexico, but the rest is largely military property, nature reserves or under the jurisdiction of the Bureau of Indian Affairs. Troy Rule, a professor at Arizona State University’s Sandra Day O’Connor College of Law, said it’s “not surprising” that the government would be stockpiling lawyers for the border project. “The border is very long, and there will be a lot of eminent domain work to be done for the federal government to implement the goals of the president as they relate to the wall, given the size of the border and how long it is,” he said. There are historically few successful challenges when the government uses eminent domain to obtain private land, but Francois said the amount of compensation it pays landowners for their property can often lead to thorny court battles. He said that if the government wanted to obtain broad swaths of land for wall infrastructure, the compensation process would be fairly cut-and-dried. But, if the government wanted an easement, allowing its agents to cross private land to reach the border, effectively bisecting the land, the situation would be more complicated. The use of eminent domain is allowed to the government under the Fifth Amendment, as long as it provides just compensation to private landowners. Rule said landowners do have some recourse, though it varies on a case-to-case basis. 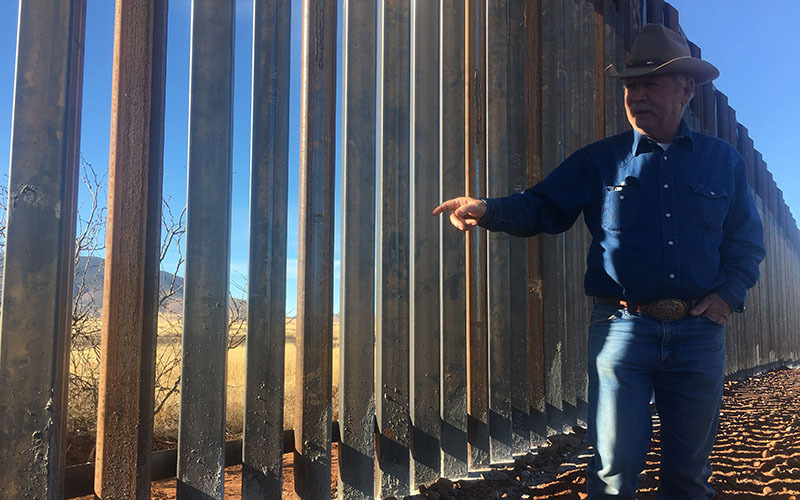 For one, they can argue that the government did not take their land for a public use, a requirement for eminent domain – but they would have a hard time making that argument in the case of the border wall, Rule said. Alternately, they can argue that the government’s compensation is not adequate, which could lead to lengthy litigation, he said. If the legal team hired isn’t feeling very litigious, they will likely offer more generous sums up front, said Rule, who teaches property and other forms of law. But, if they’re willing to put in their time in court, the government will be thriftier. “It’s not particularly controversial, I don’t think, given that eminent domain is exercised every day,” he said. Calls seeking comment from the White House, from rancher groups and from border-area lawmakers were not immediately returned Thursday.